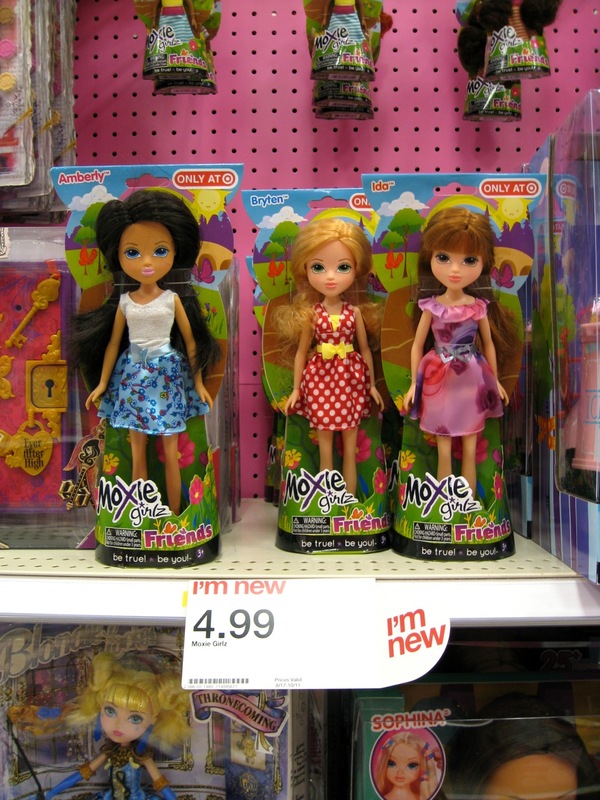 The Moxie Girlz Friends line seems to have at least three varieties of doll so far--all marked as Target exclusives. 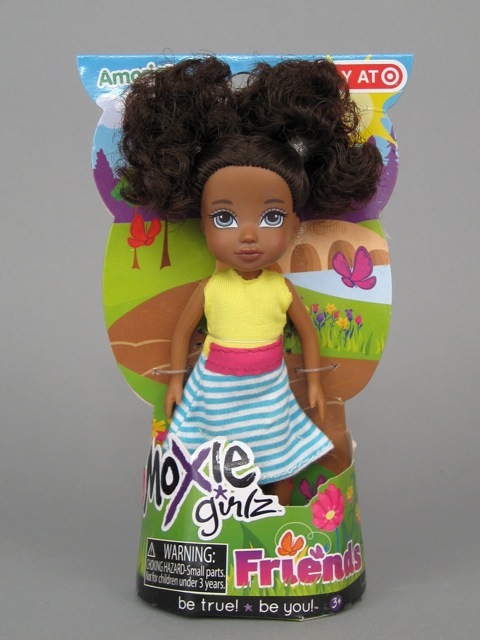 Moxie Girlz Friends basic 10" dolls, $4.99. 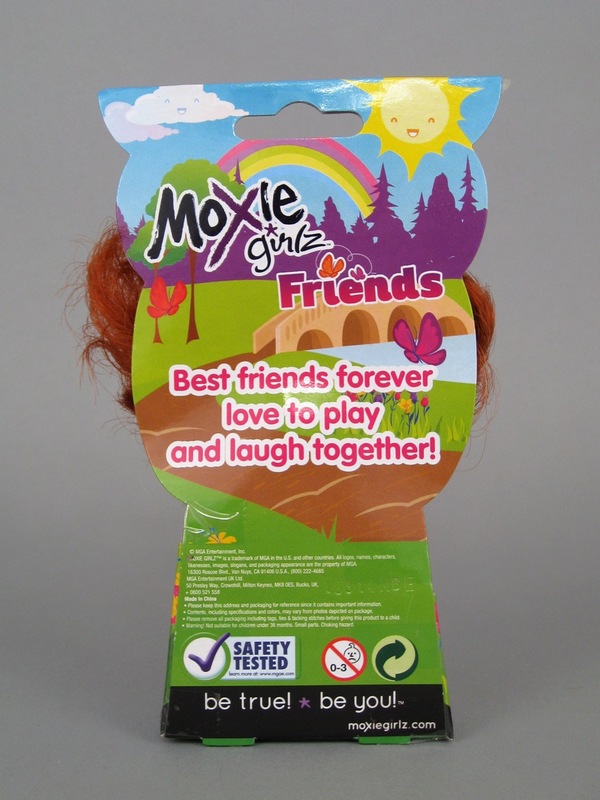 Moxie Girlz Friends doll, $8.99. 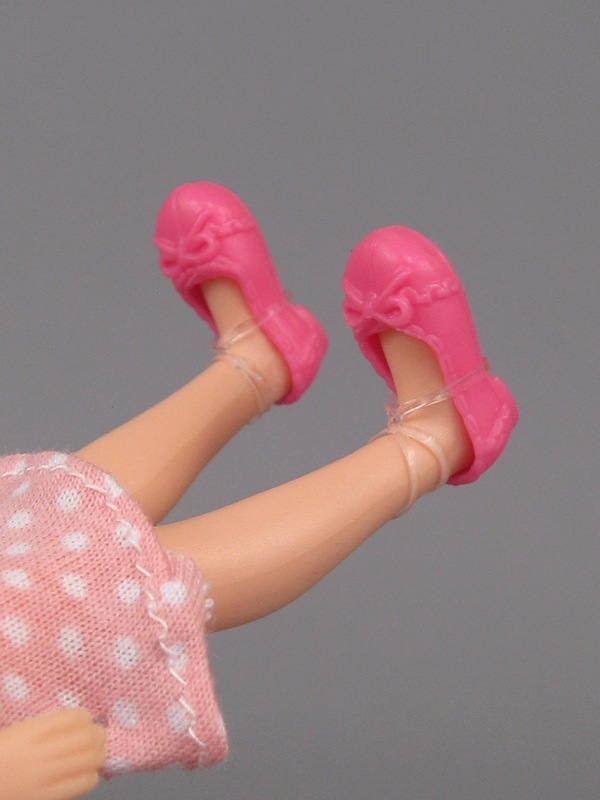 I wish I hadn't been in a hurry when I took these pictures, because I never thought to peek at the dolls' feet. 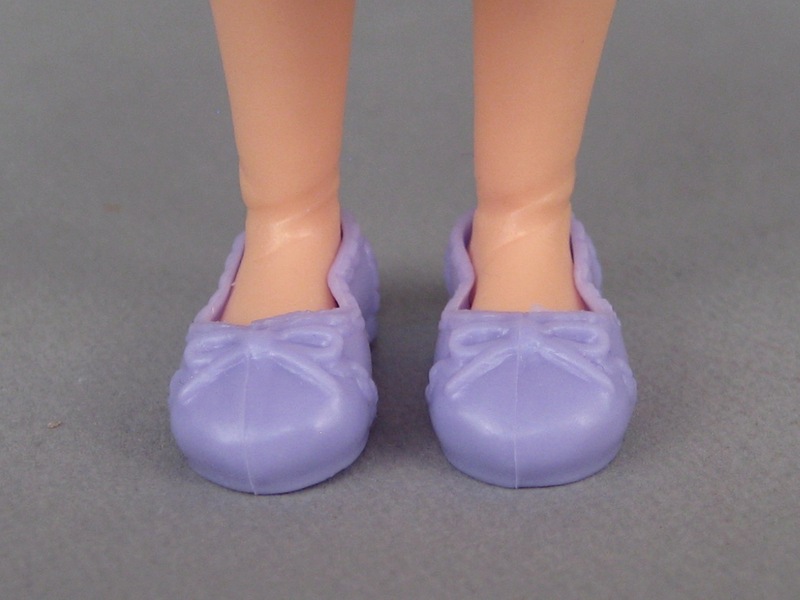 Based on Bryten's normal-looking blue loafers in the picture below, I wonder if these dolls have regular feet...you know, ones that don't pop off? 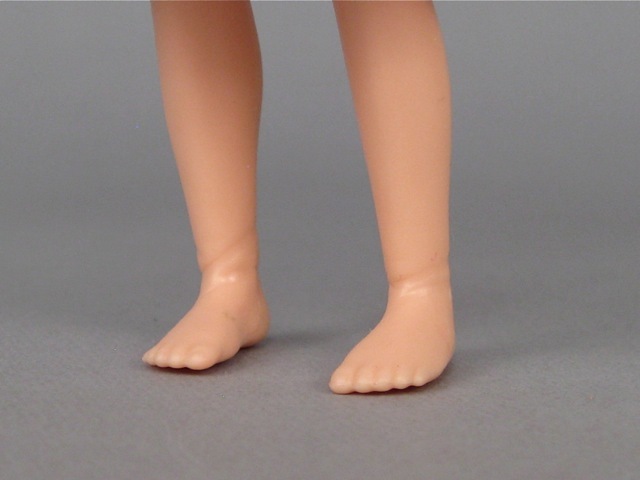 They might just have detachable bare feet. That's been known to happen. If anyone has investigated the feet, please let me know. I'm crazy-curious all of a sudden and can't find any information online. Ahhhh! What's behind the cardboard? 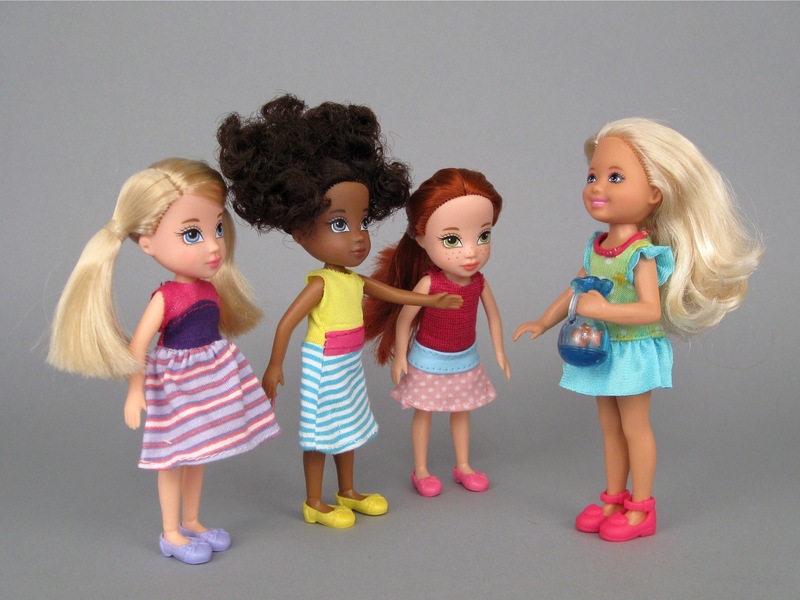 The third group of Friends dolls includes four different 5 inch minis. 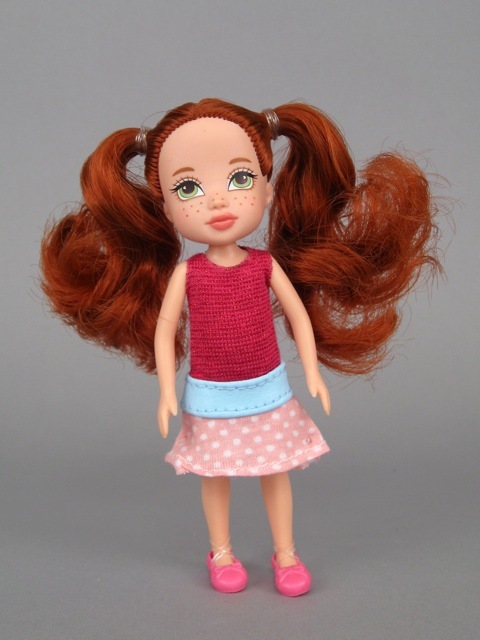 There's a blonde doll with fair skin (Neve) an olive-skinned doll with long dark hair (Cameo), a dark-skinned doll with curly hair (Amorie) and Tally, the freckled redhead. I bought all of them except for Cameo, whose hair looked too coarse and tangle-prone for me. I wonder why it isn't "Friendz?" The open front on these cartons is nice because it's very easy to see the dolls. The packaging is also minimal, which I love, and almost entirely cardboard (simple to recycle). 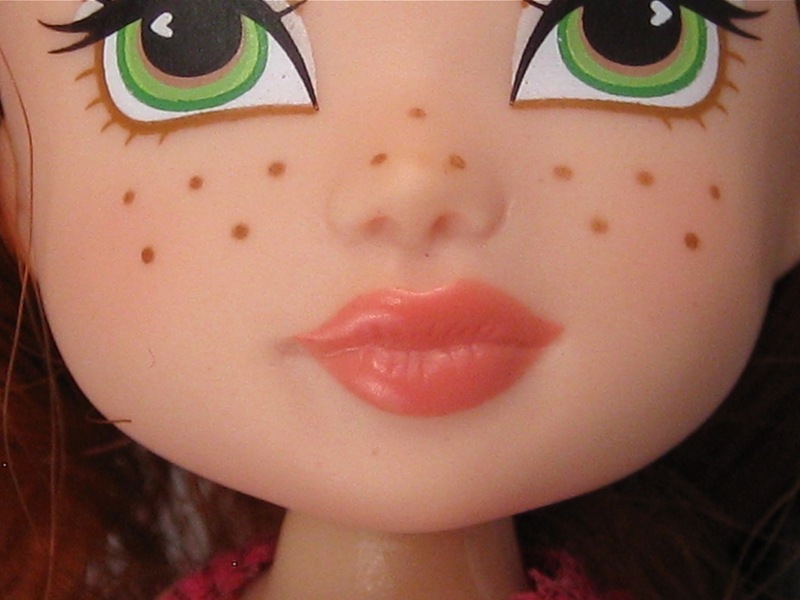 However, I noticed that several of the dolls have dark smudges on their faces and messy hair. Presumably the dark smudges are just dirt that can be washed away, but I think the scruffy appearance on some of these dolls might deter their sale. I see some big clearance markdowns in the future. 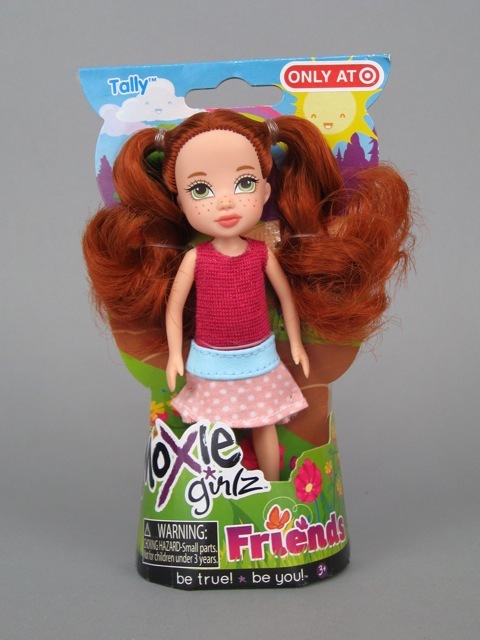 Moxie Girlz mini doll "Tally." 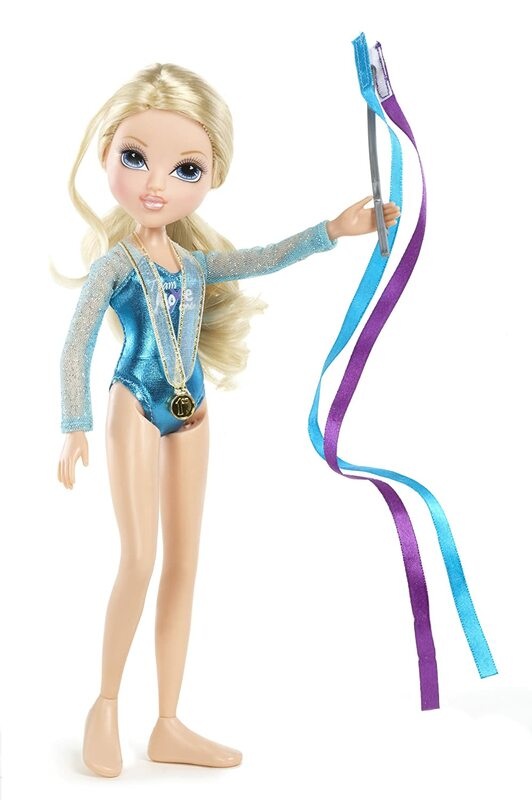 The dolls are held in the packaging with several plastic strings (one around the waist, one around each limb, and one around each ponytail). 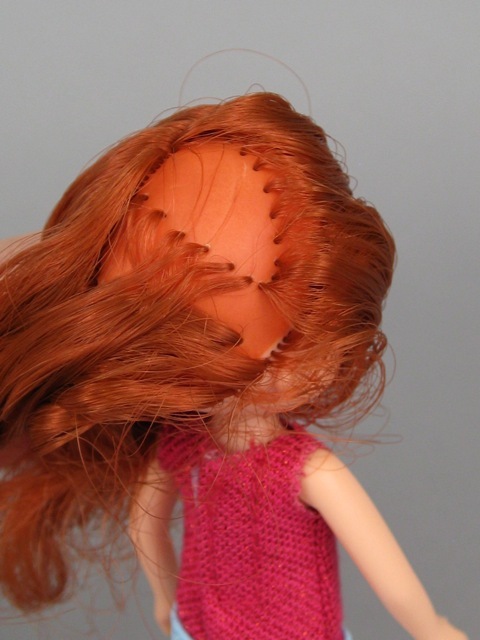 These are easy to cut, but there are also two tight plastic ties in the doll's head (these caused me to accidentally snip Neve's hair). 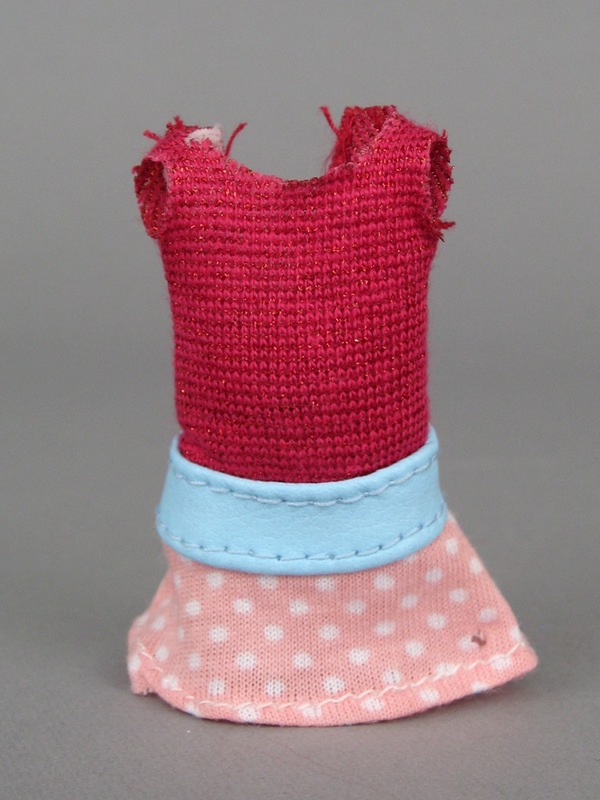 There are also tiny little plastic ties at the edges of the dress, which can leave behind unsightly holes. Or maybe just because she's really short? 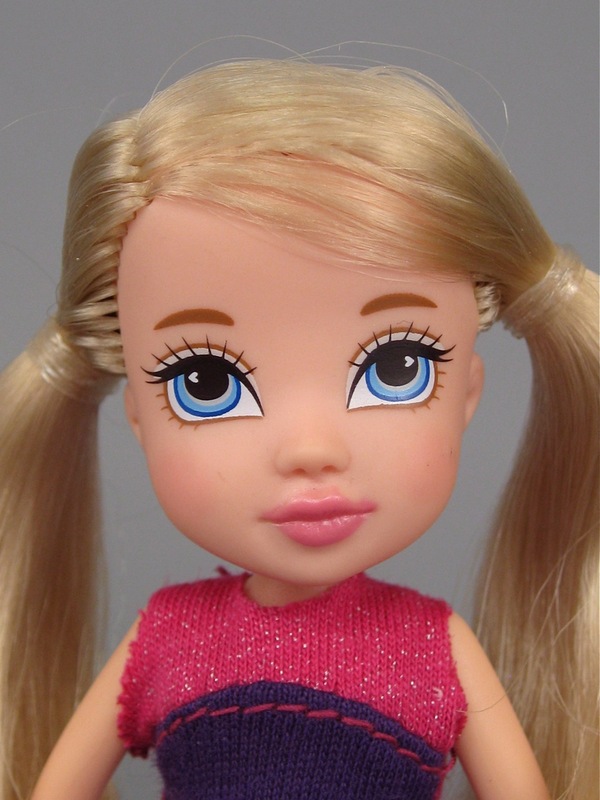 Her eyes are painted against a flat surface with no raised details, so her profile makes her forehead region seem very tall. 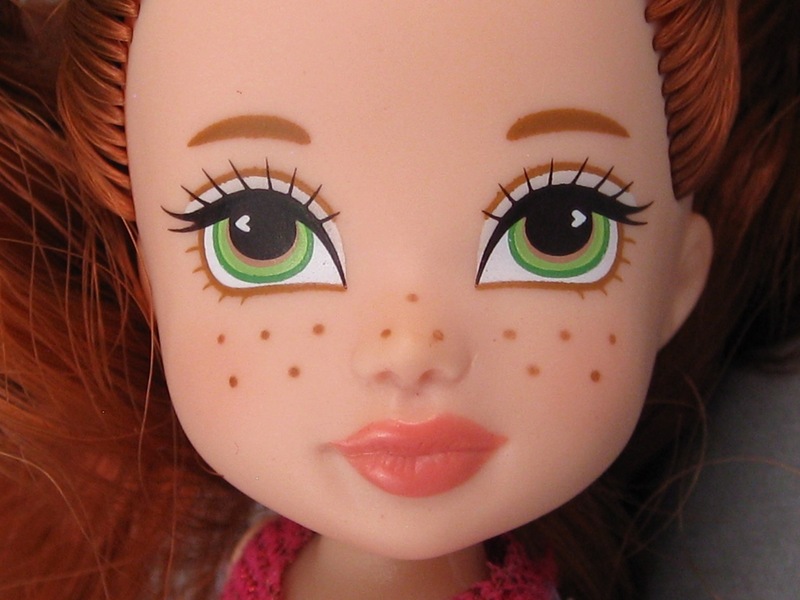 She has thirteen evenly-spaced round freckles across her face. This uniform shape and distribution is not my favorite style of freckle, but these look ok.
Because the shoes look a little squished and warped. These might fade over time, but they haven't gone away yet. The dress has a single, stiff piece of velcro in the back, and is pretty easy to get on and off. 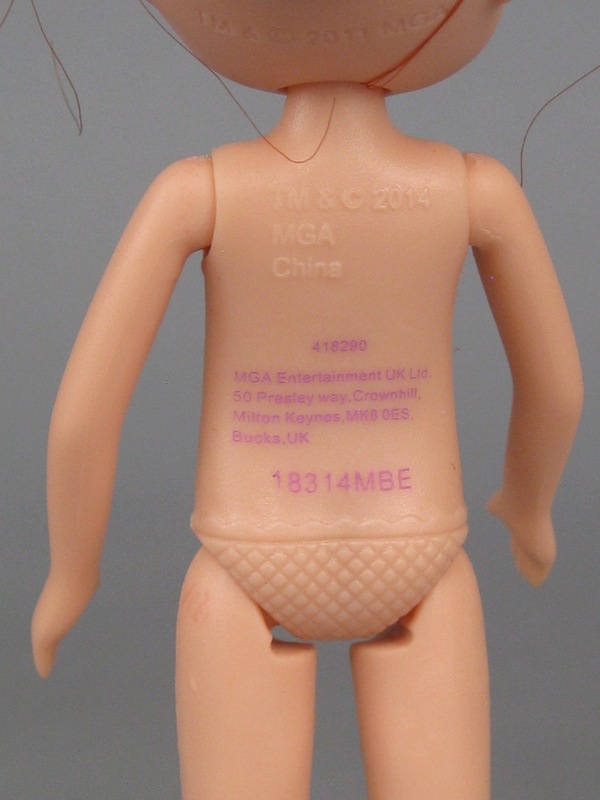 She has skin-colored molded underwear and five points of articulation. Her arms and legs are made out of flexible vinyl (which isn't at all sticky or rubbery) for added movement. 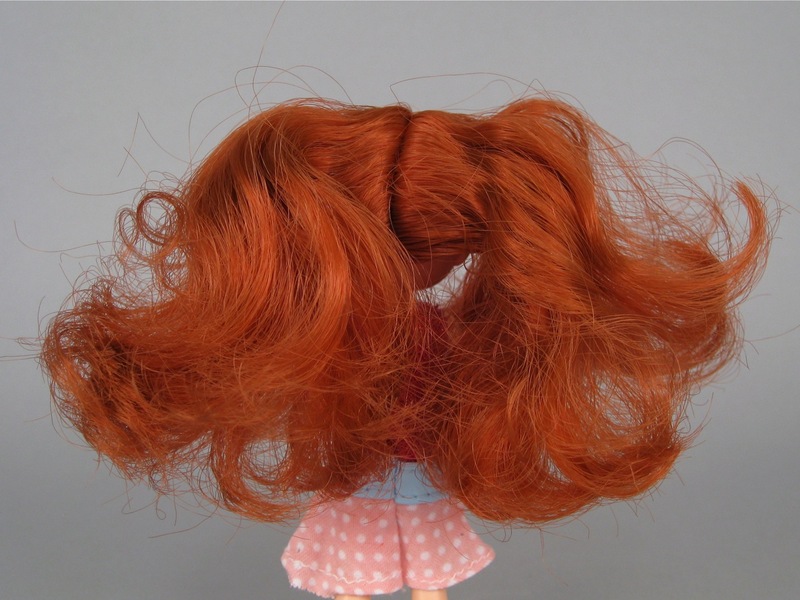 Tally's bright red hair came in two curly ponytails, but these got quite unruly as I was posing her. Brushing the ponytails didn't help matters very much. The hair feels pretty coarse--especially at the ends. This type of wavy texture never seems to do well with the lower quality hair fibers. This patch is hidden well most of the time. It's still coarser at the ends. 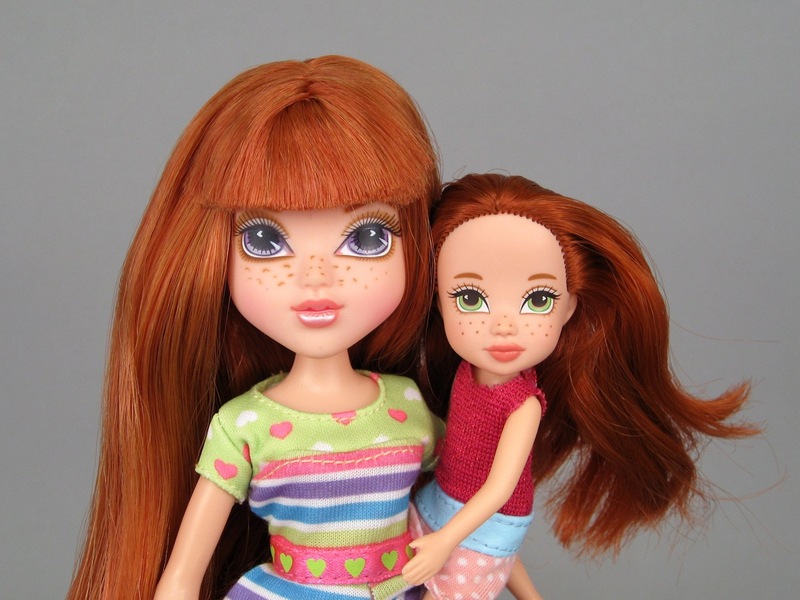 These two dolls have similar coloring, but the quality of the Our Generation doll is superior. Not only are Kendra's clothes better-made and more durable, but she stands up and poses better, her face is more appealing (at least to me) and her hair has a soft, silky texture with a lovely shine. 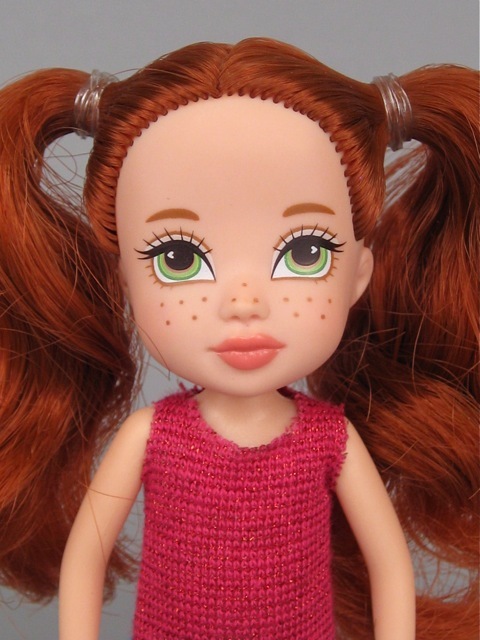 Kendra's freckles are better, too. 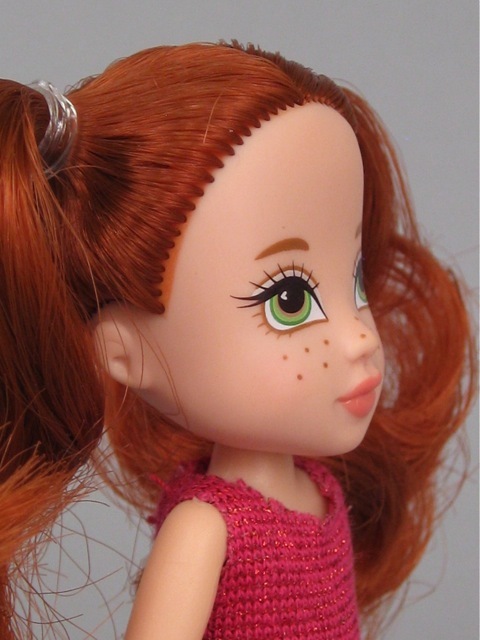 LPS Blythe doll, Moxie Girlz mini. Mini Pullip, Moxie Girlz mini. 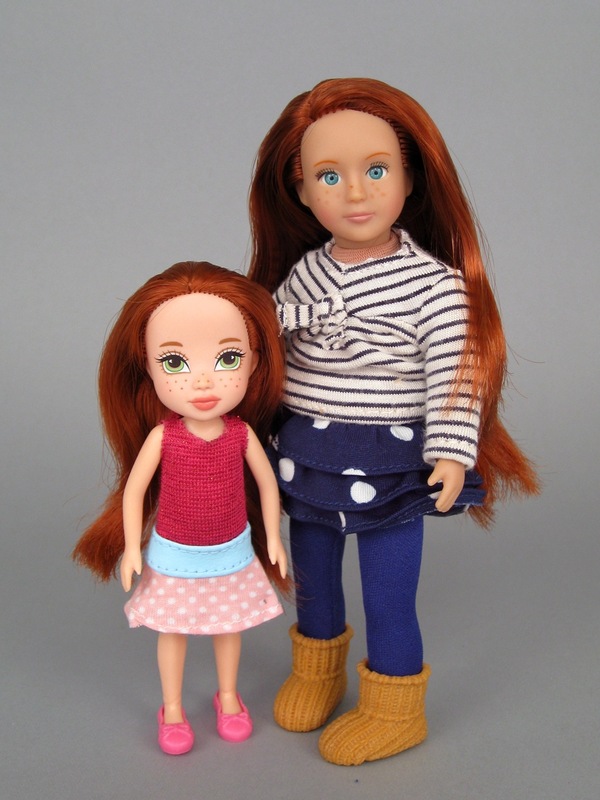 I was hoping that these minis would make good siblings for the larger Moxie Girlz dolls, and they do to an extent, but Tally's features seem a little too grown-up for her relative size. But Kellan's freckles are better. 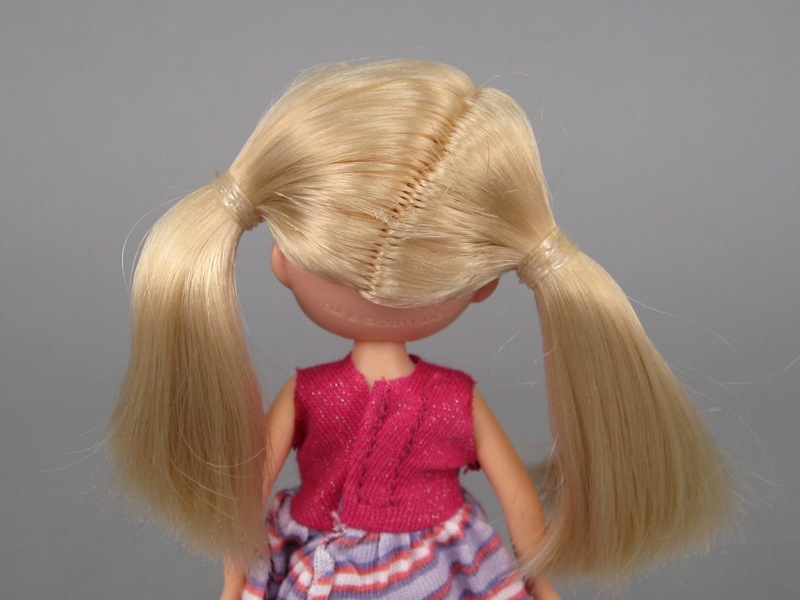 The head tilt is exacerbated by a part in the hair that starts at the back midline and crosses over so that it appears as a side part when you look at the doll from the front. I like the full skirt on this dress, and the shape of the bodice is neat. This is my favorite dress in the series. Neve's ankles and shoes were also warped by the rubber bands. 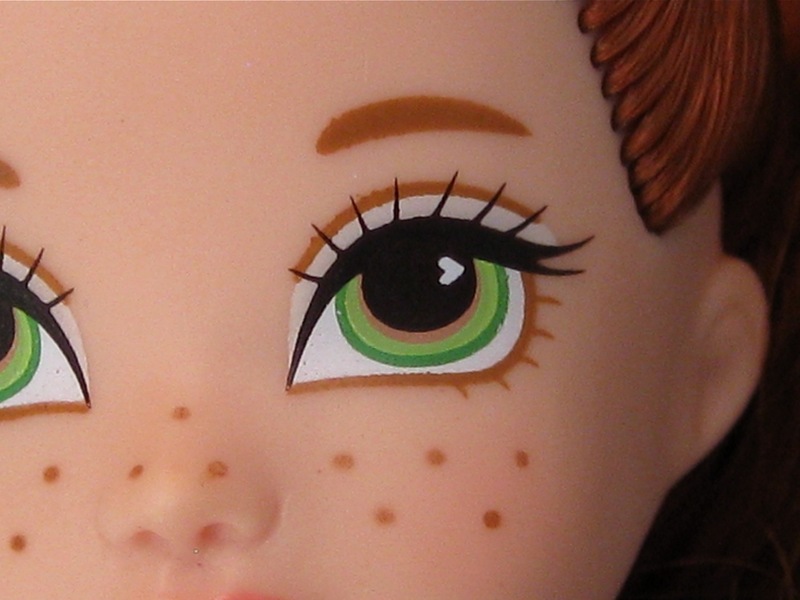 The design of Neve's eyes and eyebrows is the same as Tally's, but Neve has bright blue eyes with a darker blue border. 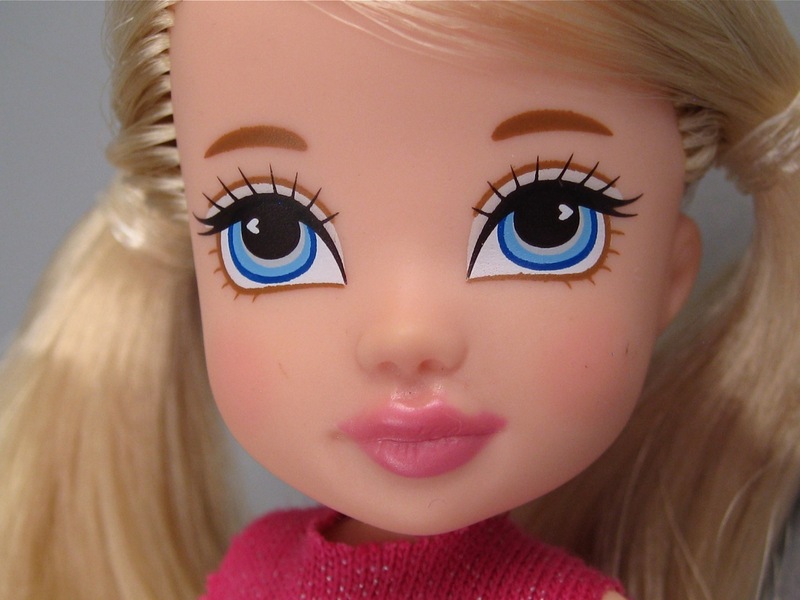 This doll has a few dirt smudges and scuffs on her cheeks. 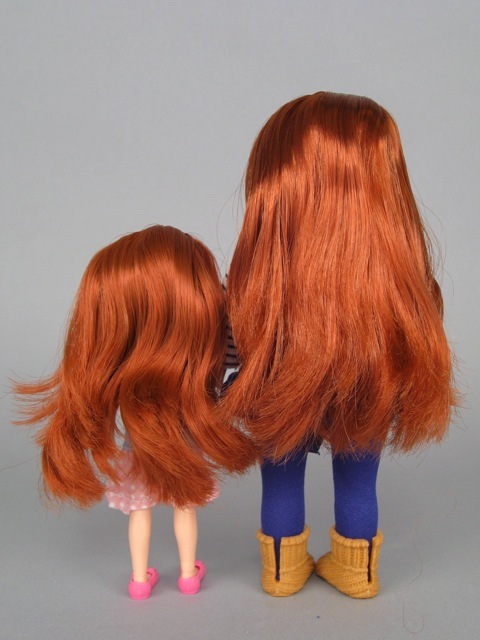 Of these two dolls, I prefer Neve. There's a sweetness in her tilted little face that I really like. Neve (left) and Tally (right). 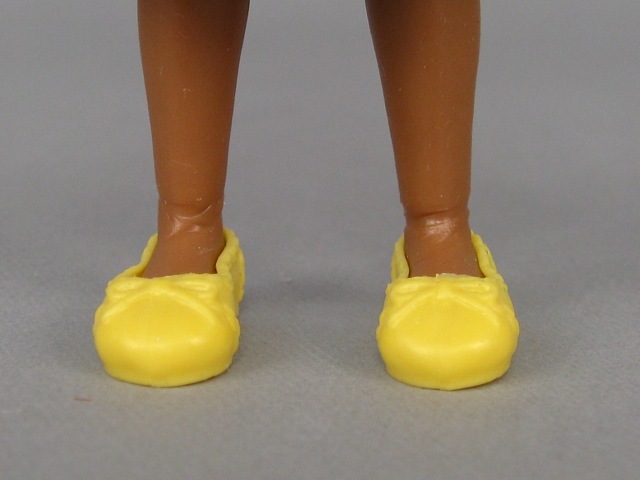 I am also not crazy about the color of Amorie's shoes--although the style is exactly the same as it is on the other dolls. Amorie has slate blue eyes with a dark grey border. I like these unusual eyes combined with the natural gloss on her lips and the dark extravagance of her hair. 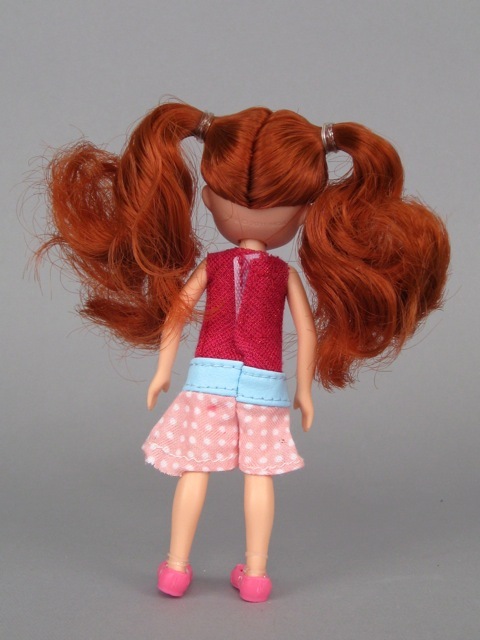 I'm never going to take her hair down because I am afraid of how poofy it might get (memories of Extra Special Grace leap to mind...), but the volume of hair does make it a little hard for her to stand right next to the other dolls. Amorie (left) and Neve (right). Bottom line? I would definitely recommend considering one of these cuties if you see them at Target. 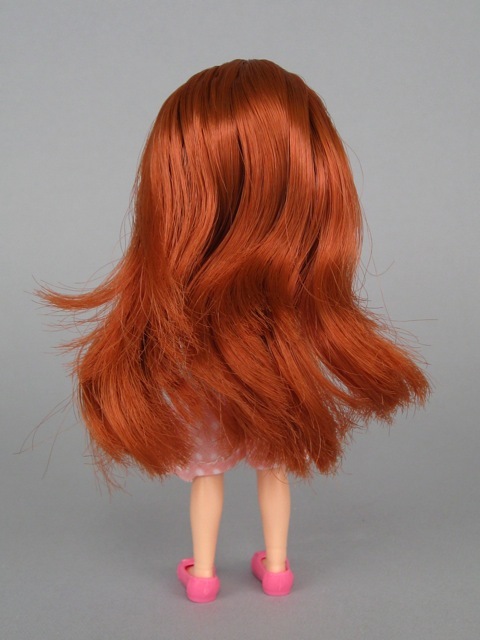 Some of the hair is coarse and unruly, and the outfits have unfinished seams that can't take a lot of abuse, but they cost $3. 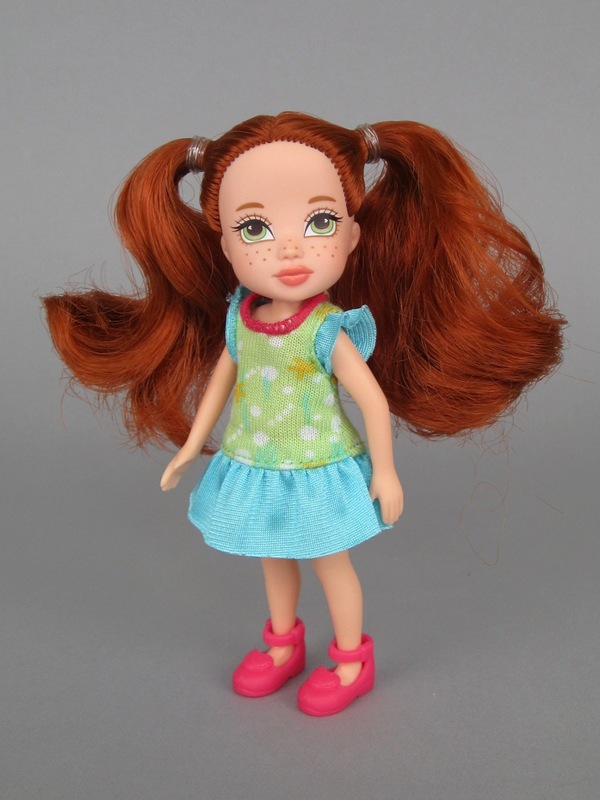 I don't know of another doll on the shelves right now that offers this much personality and playability for $3. 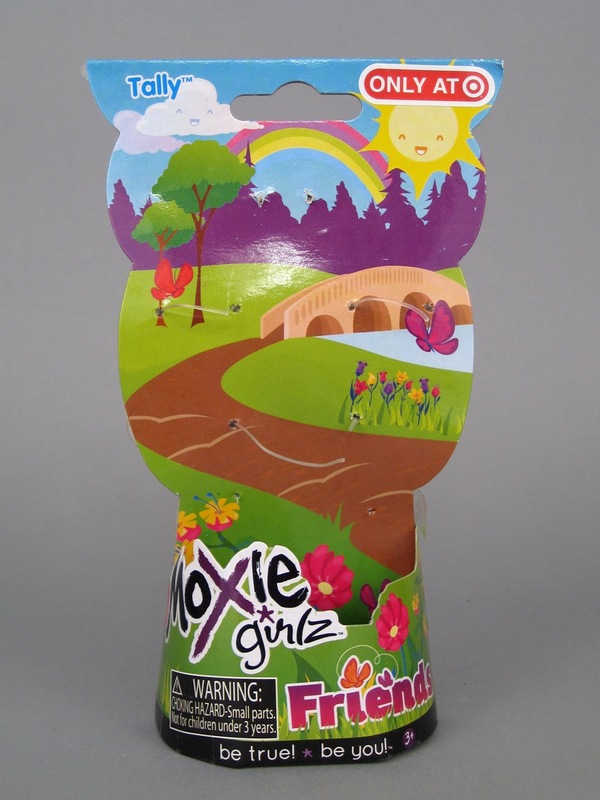 The thing is, the price seems so low that the temptation is to buy multiple little Moxie Friends. If you're like me and grab three (or even all four) of these cute characters, you'll have spent $9-$12, at which point I think the adorable Battat Our Generation minis would make a higher-quality, more enduring choice. 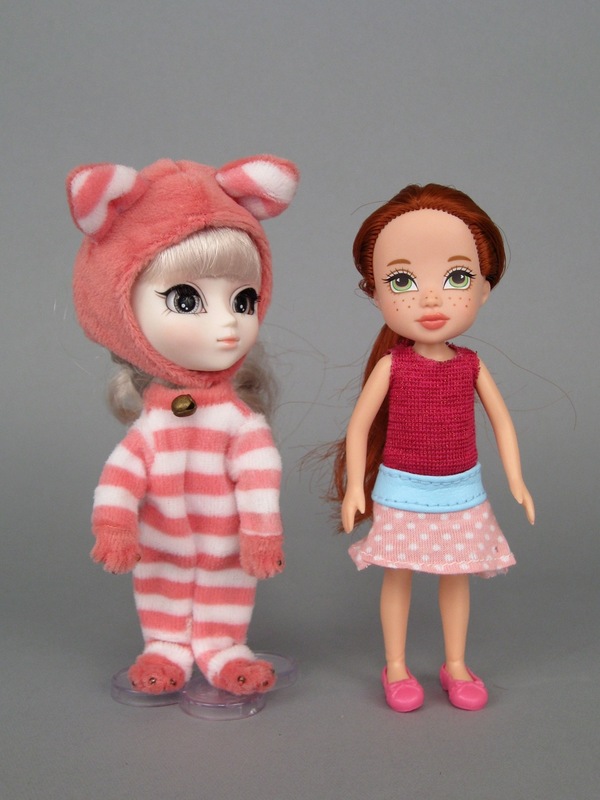 I'm not sure if we're seeing the first of MGA's re-imagined doll lines with these girls or not, but if this Friends line is any indication of what's in store for 2015, I have to say that I like the attention to low-impact packaging, and I love the affordability, but I hope there will also be a few options in a higher quality bracket. Amorie is my favorite! 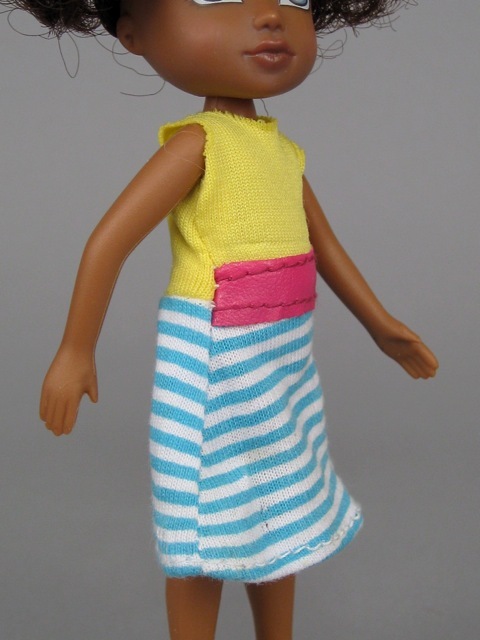 I suppose for $3, I could buy another doll and steal her clothing for Amorie. I think that's a good idea, Steph. I had a similar thought--especially because the Chelsea clothes fit pretty well. Amorie definitely deserves a better outfit! Neve is my favorite, probably because the blonde hair and the dirty marks make her look vulnerable xD. I agree! That Neve is so sweet. It's interesting how her face gives off such a different personality than the others, isn't it? I cant believe it ! 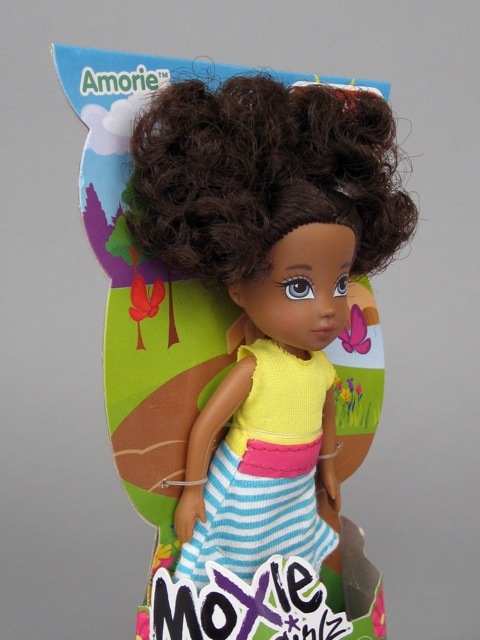 My name is Amore and there a doll called Amorie!!! Im totally buying that doll now! Also great reveiws you always do a great job! Thank you!. Maybe your right about her being meant for me! My mom bought her and Neve for me. They are everywhere at our target. I'm with you about Neve and Amorie they are very cute. 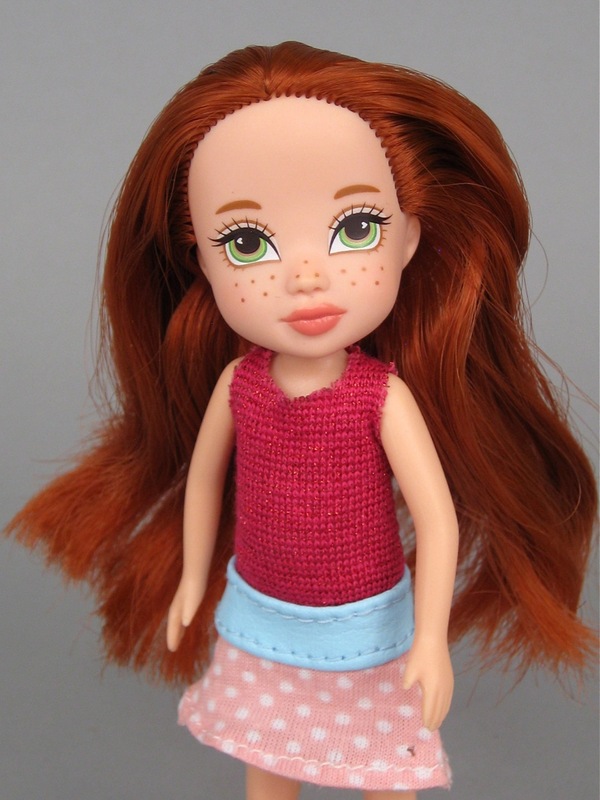 I think minis are starting to be a trend, oh well just more dolls for dolls. ;) To me they like they have a lot of attitude with the eyes looking up and the " non smiling mouths " (how would you even say that in a way that makes sense?) I should really go to Target more often, last time there was bearly any OG stuff. To be honest at around 3$ I wouldn't criticize the quality to much. Cute review can't wait to go to target for Back-To-School now. 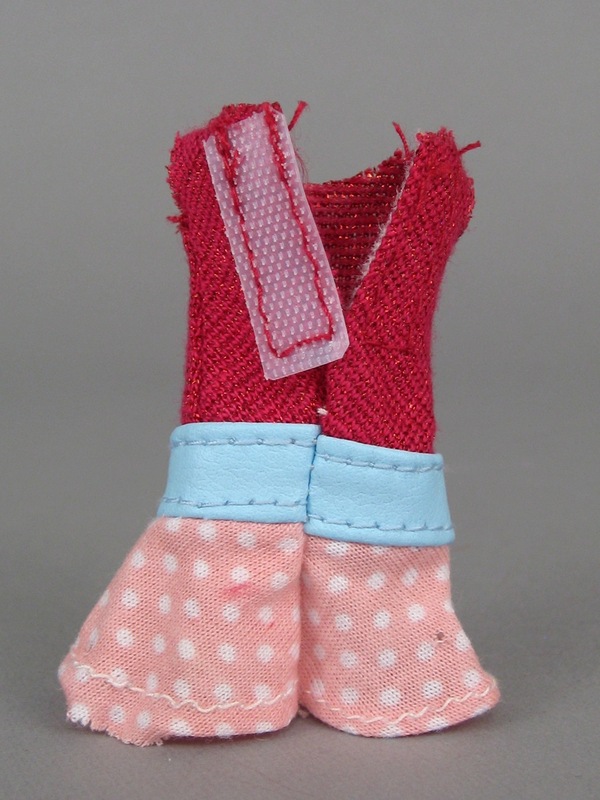 I am thrilled that mini dolls are starting to pop up! They are very cute and easy on the budget...it's tempting to pick some up for stocking stuffers...based on your review, the quality definitely seems worth the price! 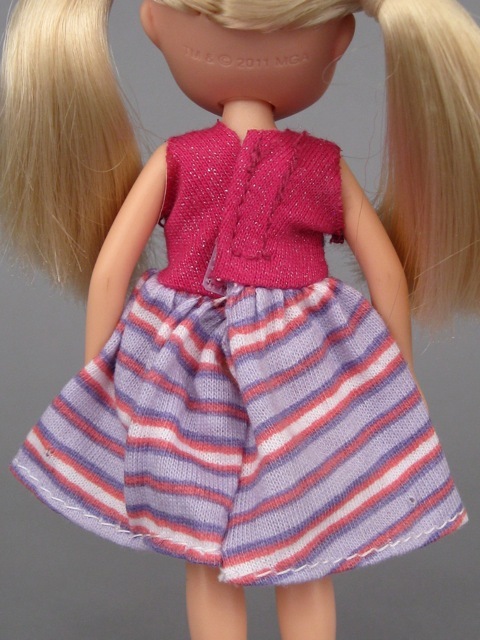 Would you be willing to buy the doll if the quality of the dress was improved and the price bumped up a dollar or so? Hi Barb, yes--I would still buy. The same would be true for the hair quality. Slightly nicer hair and a dollar or two more in price would be great in my eyes. I should add that Neve's dress is surprisingly cute and well-constructed for this price range. If all of the dresses had been that nice, I don't think I even would have raised quality as an issue with the clothing. These are cuter than I expected them to be! 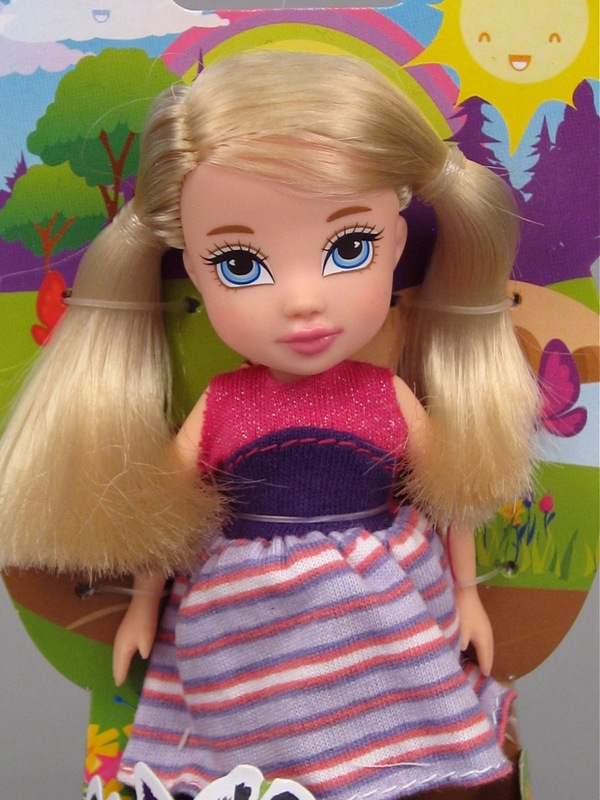 I wonder how the clothing and hair quality compares to the off-brand mini dolls that you find at places like Dollarama. Great question! 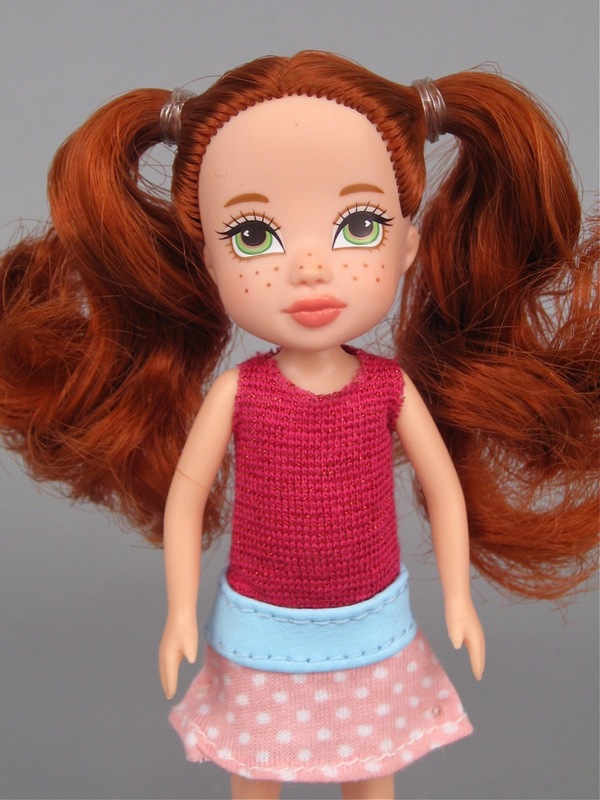 I have considered the Sparkle Girlz once or twice before, but always pass on them because the quality doesn't look very good. However, now I am much more interested in how they compare to these little Moxies. Maybe a project for the weekend? 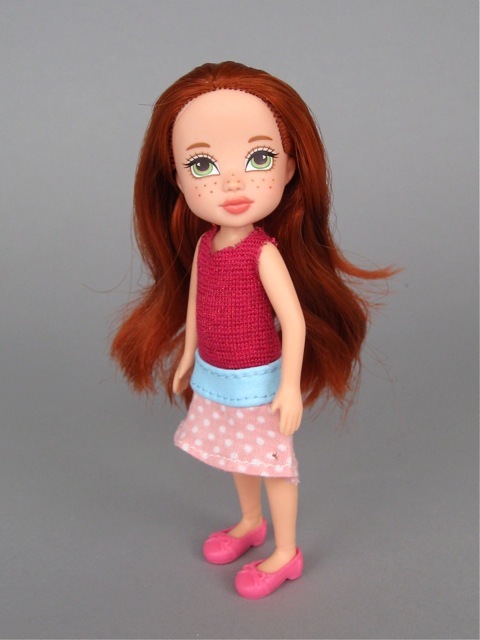 It's a great idea to compare these to dollar store dolls, too--or even the little dolls that show up in the Target or TRU dollar bins. 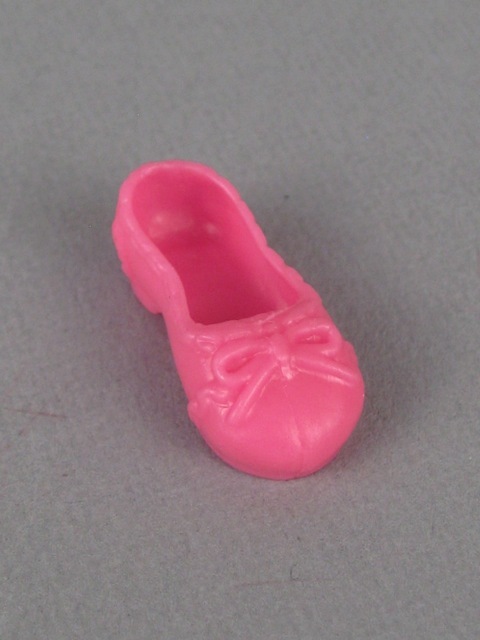 I don't consider these mini dolls so much as little sibling dolls. 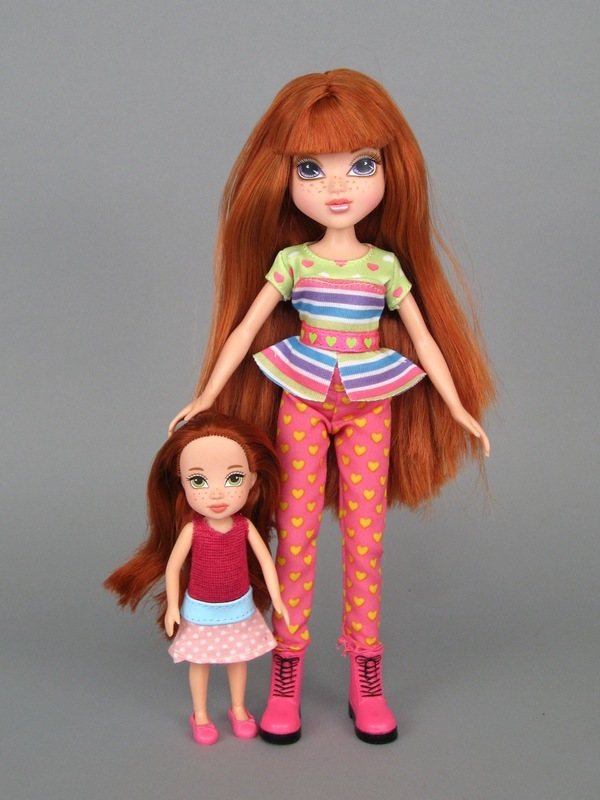 To me mini dolls, like the Our Generation Minis or the Mini Pullips, are meant to be the same age as the full sized dolls while little sibling dolls, like Chelsea and these, are meant to be younger than their older counterparts. Interesting distinction! I have never thought about this before, and you're right that there's an important difference. 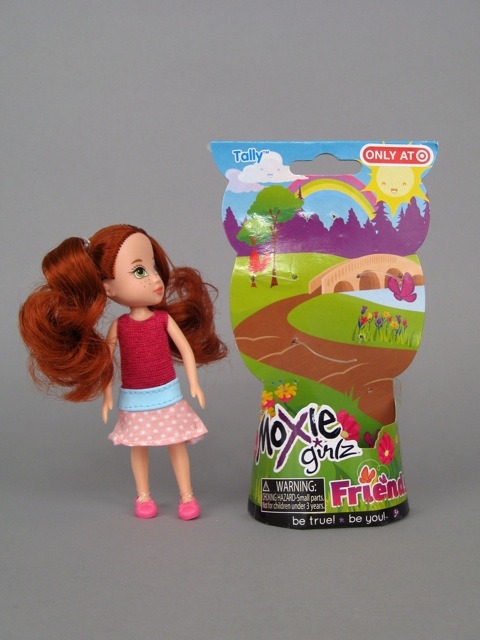 I don't think I would call Chelsea a "mini" doll, so I'm not sure why I immediately started calling these Moxie dolls minis! 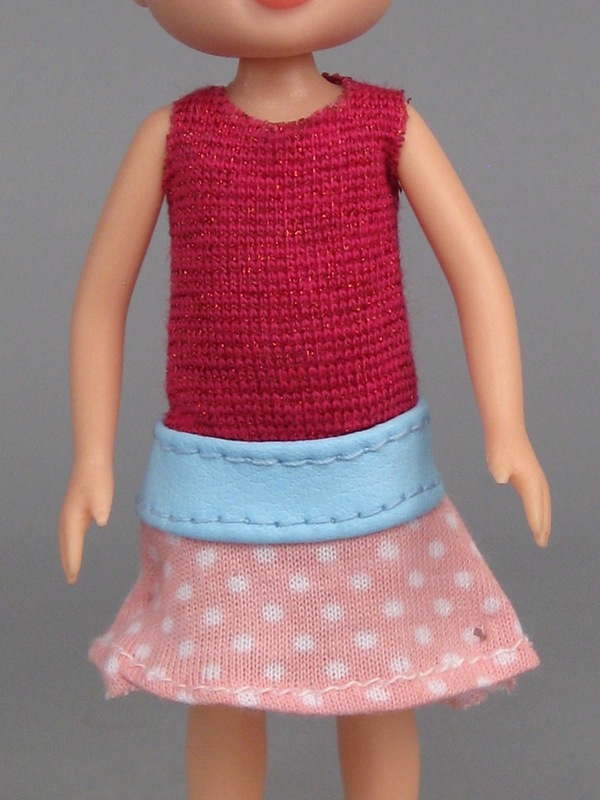 Some little dolls are small because they're younger, and others are small because they're mini replicas. Excellent point. 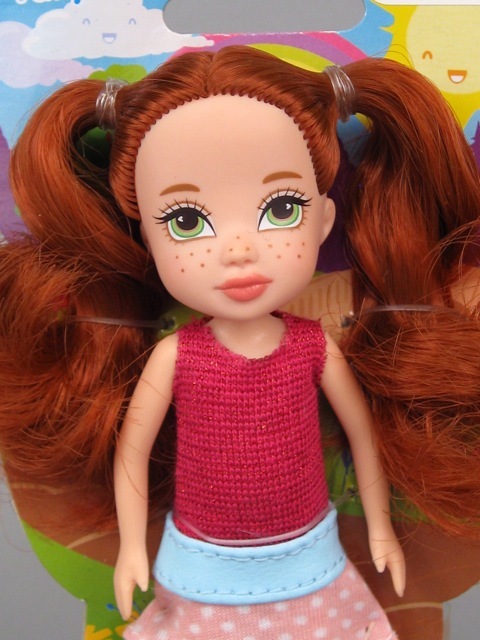 Also around the same price point Walmart has little Sparkle Girlz dolls. 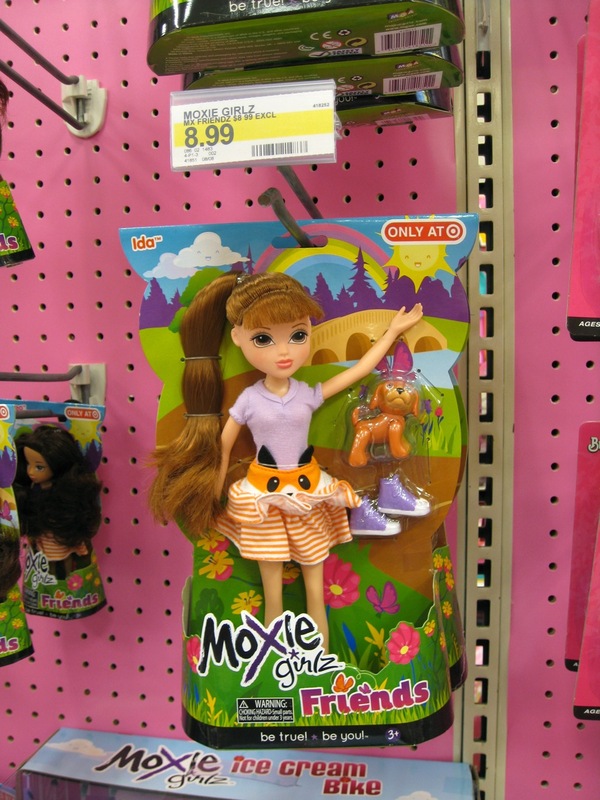 I'm thinking the Sparkle Girlz, who have been around longer, are the reason the Target exclusive Moxie Girlz Friends line even exists. 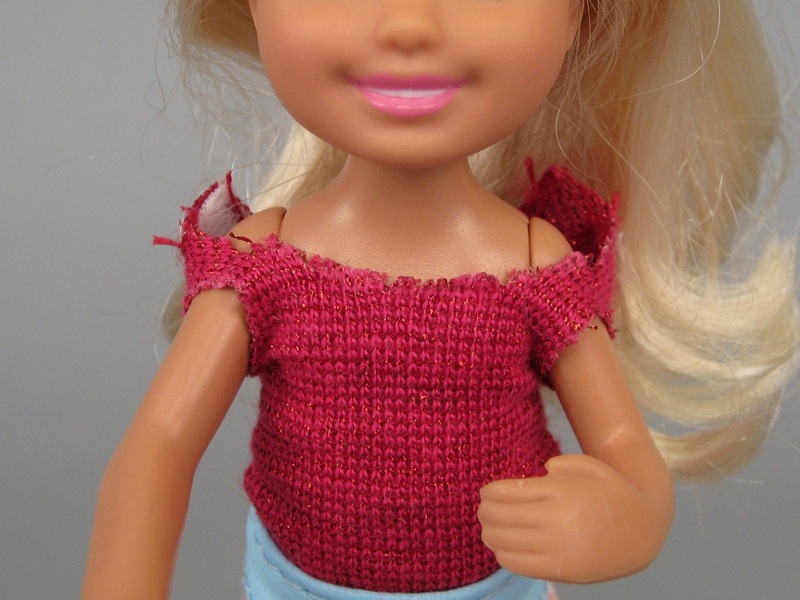 It's almost like they wanted some kind of cheap alternative to Barbie too. These guys are soo cute!! 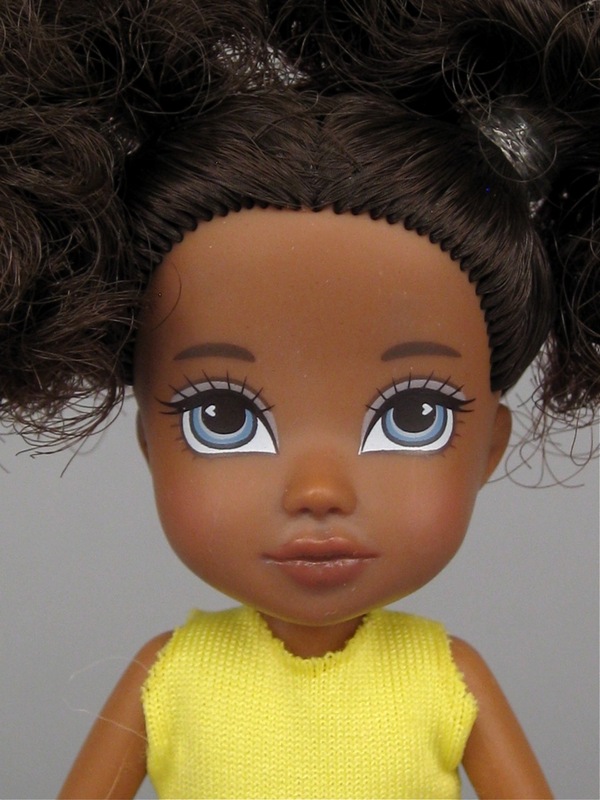 I'm going to have to get some for my niece; they'll fit nicely in her little doll house (if I don't steal Amorie first, her hair is beyond adorable!) Def. not bad for $3. 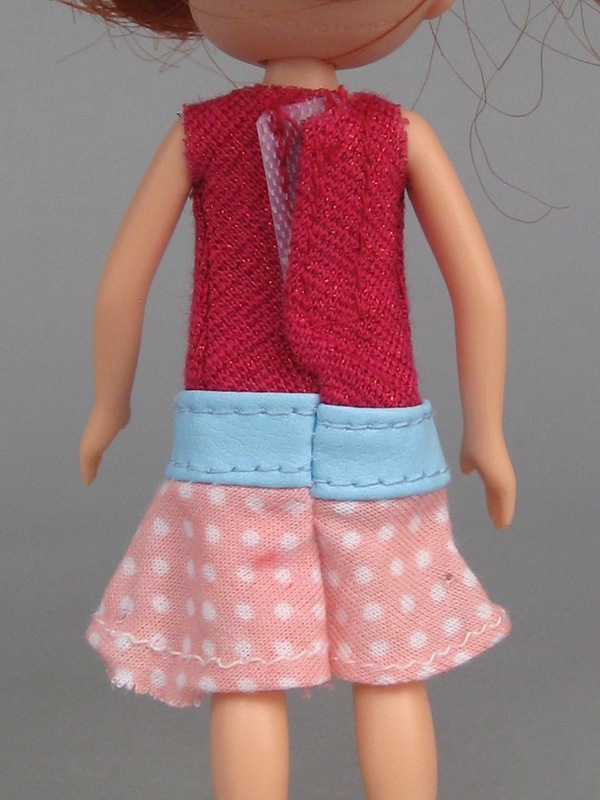 If you have the patience doing a seam close to the edges of the neck and armholes will keep them from stretching out further. 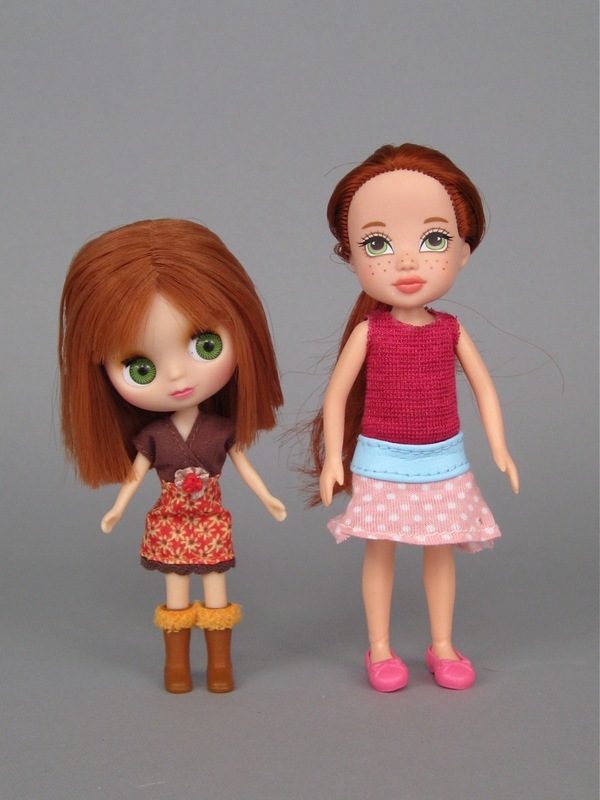 These mini dolls are very cute! 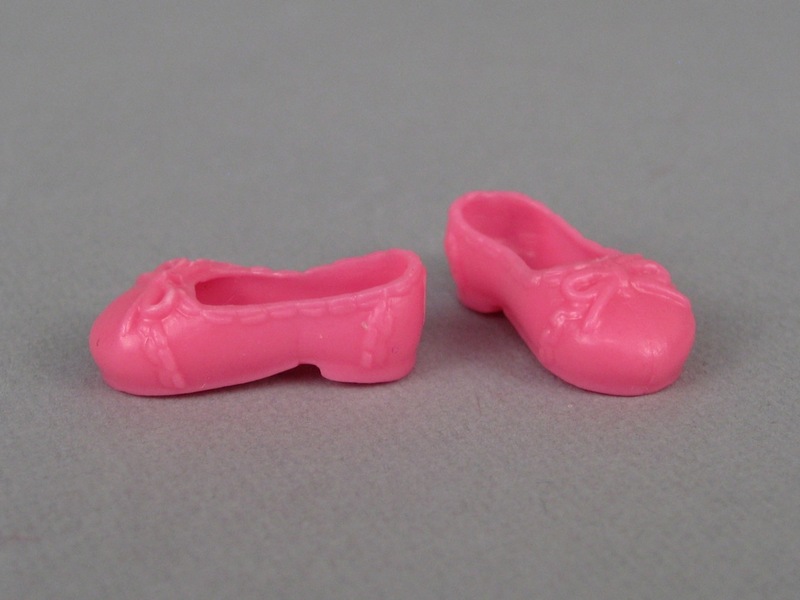 But I think I'd be more tempted by the OG minis. 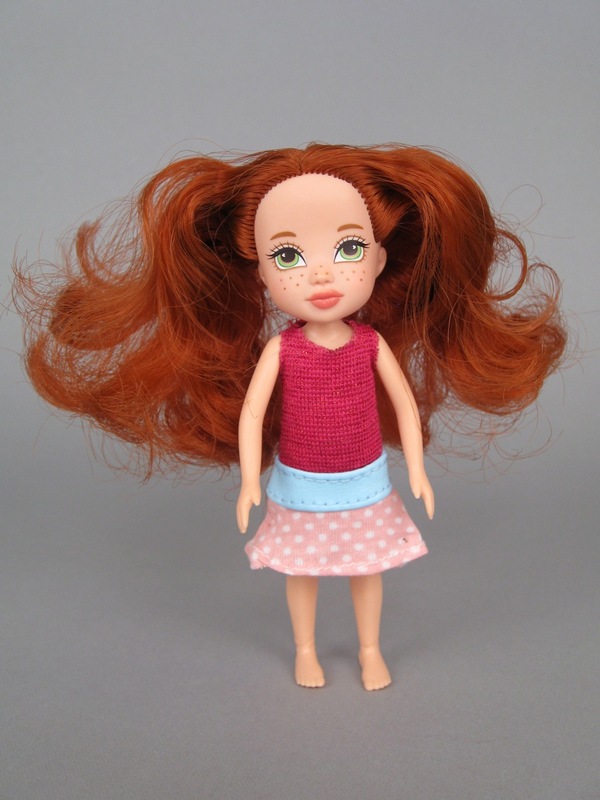 Also, I thought I'd give you a heads up about a new large-scale doll line that seems to want to compete with American Girl. They're called Global Girls. I haven't heard too much about them, since I stumbled on them by accident through Facebook. It seemed like the sort of thing that would be up your alley, though sadly, they don't have a red-head character (not yet, anyway). Thank you so much for this tip, Miyu! I have one on the way...or I think I do. Not a lot of communication from the company. 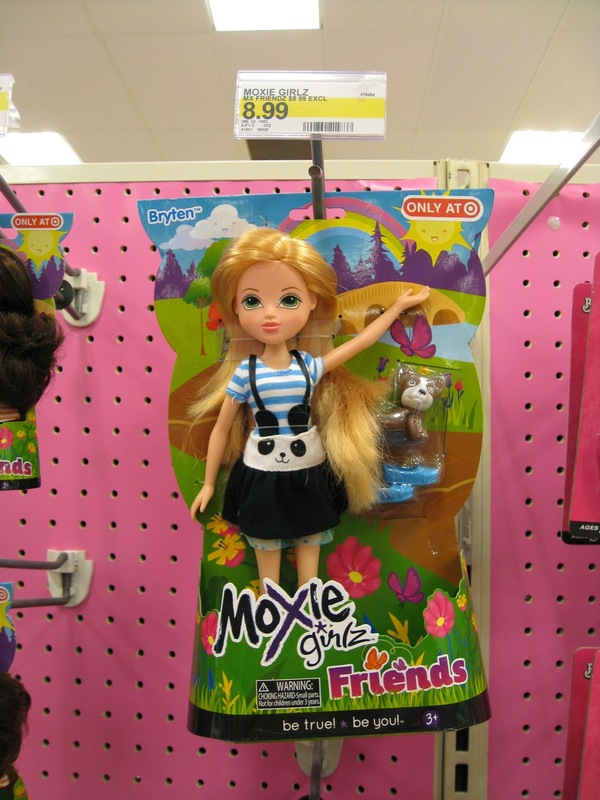 There used to be a Moxie Girlz set with the blonde and her little sister in matching outfits. 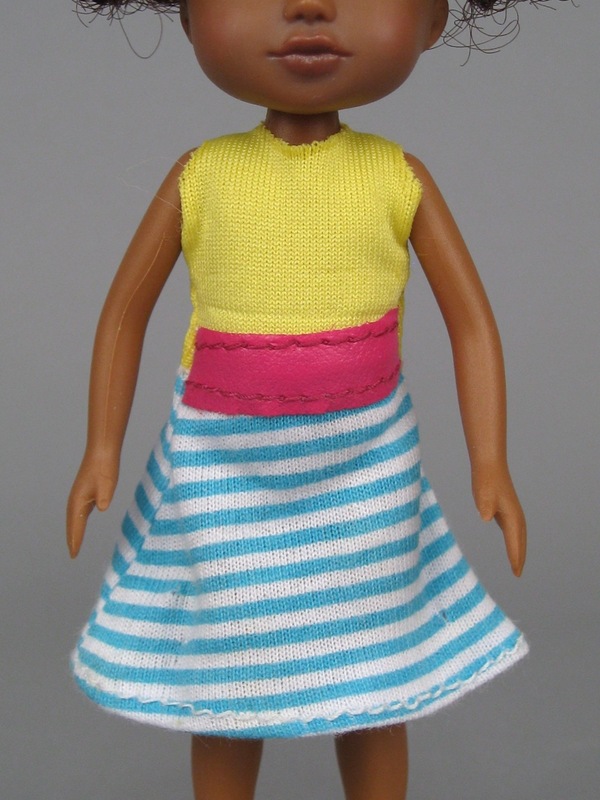 I reckon these dolls are in proportion to her. I think there was only one set like that. Maybe it didn't sell well enough and these girls are like the leftovers from what could have been. She's cute! Great review. I love the side by sides and the full line photos. 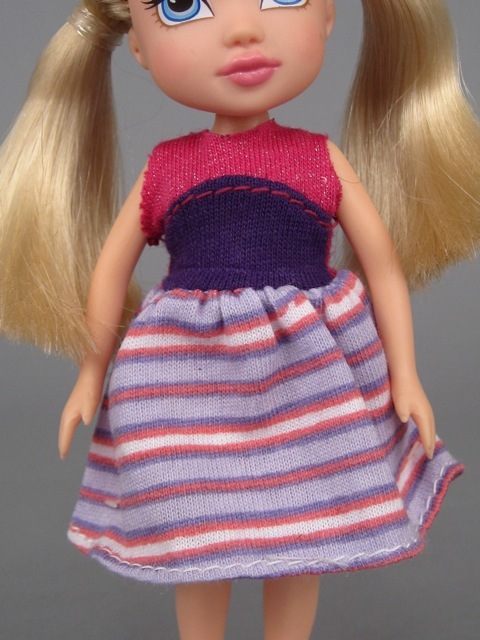 Emily, I reviewed Tally over at my blog Planet of the Dolls, and I addressed some of the flaws you found in your Tally. If you get a chance, check out the comparison. I think I must have hit a better batch than you did. Mine doesn't have some of the flaws yours has. The clothes are still a chincy though. 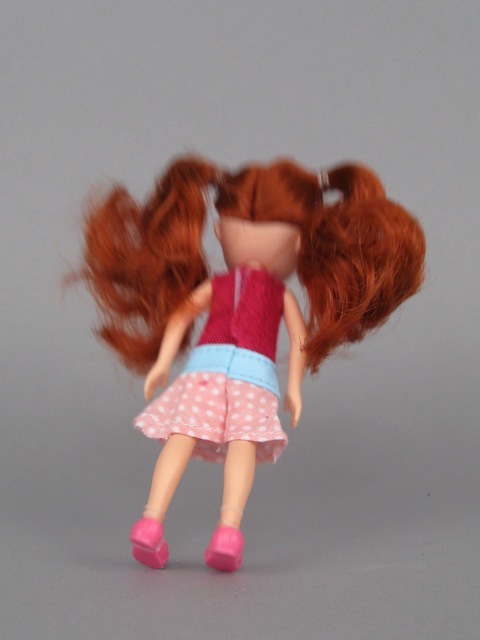 But at least all the dolls don't seem to have some of those problems you mentioned. Still so behind but I agree that Neve and Amorie are very cute! I love little doll so will have to watch for them. I wonder if they would fit into Kelly's clothing? Hopefully, I will fin them and be able to know soon. Will have to send DH off to look tomorrow. I was at Walmart last week and the OG section was demolished. Every mini, every accessory set (except shoes) were gone. I am betting they will be on e-bay soon because I can't believe that much just sold in one week. 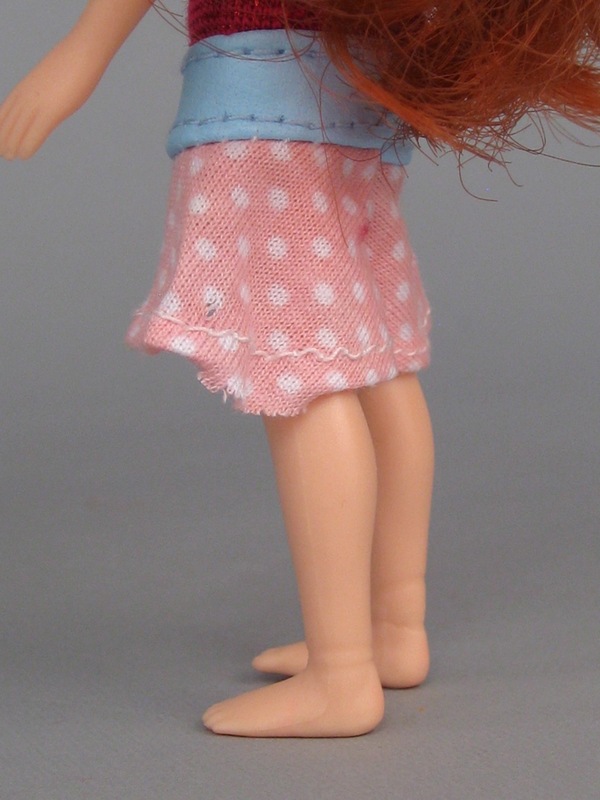 In the last picture, the rubber band marks looks like the doll has bendable ankles! Also Neve is a darling!